Every moment in the world of Almar seduces you; every instant is dedicated to you. Afternoon Tea is served every day from 15 to 19, when the River Lounge Bar turns into a magnificent “living room” offering the best varieties of leaf teas – from classic blends to creative infusions. Delicious sweets and savory fares will accompany your tea in perfect British style with hints of Italian cuisine, colorfully arranged on silver tiered-trays that will lure you into a unique gourmet experience. Tea is served in the best English tradition, with a delicate selection of sandwiches prepared with cucumber and butter, egg, watercress and mayonnaise, or with salmon and cream cheese, freshly baked scones accompanied by lemon curd and strawberry jam, shortbread, gingerbread and small pastries. A caressing fragrance, a spellbinding taste, a fascinating presentation. An exquisite chocolate selection, which includes cakes and pastries, chocolate candies and small confectionery made only from the highest quality chocolate, will stimulate your senses. 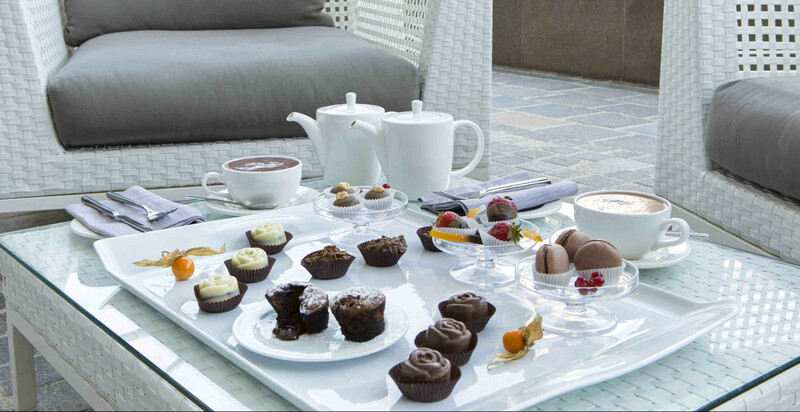 A space to enjoy chocolate in any form and to indulge in the small pleasures of the palate. The precious food of the gods, served daily at the River Lounge Bar.